It’s impossible for Ichiro Kawanabe to order up an Uber in Japan. The ride-hailing company has banned him from having an account. That’s not a problem, though, because he rarely has trouble getting around; Kawanabe runs Nihon Kotsu Co., Tokyo’s biggest taxi company. Visitors to the archipelago know that hailing a cab here is a unique experience. Taxis are easy to find (when it’s not raining) and usually offer impeccable service, from automated doors to glove-wearing drivers eager to get passengers to their destination. Even though fares are among the priciest in the world, stringent regulations and top-notch services have kept Uber Technologies Inc.’s market share at less than 1 percent of monthly rides in Tokyo, according to data from a person with knowledge of Uber’s business and figures from the Japan Federation of Hire-Taxi Associations. Now that SoftBank Group Corp. unveiled plans this week to invest in Uber, the dynamics could change, including a more aggressive push by the ride-hailing company. Before that happens, Kawanabe is aiming to shake up his own ¥1.72 trillion ($15 billion) industry, with a taxi-hailing app and plans to offer fixed-rate pricing and carpooling. So far, his ambition earned him Uber’s wrath and a place on its blacklist. After getting an MBA from the Kellogg School of Management and a stint as a McKinsey & Co. consultant, Kawanabe found himself running the enterprise sooner than he anticipated, when his father passed away a decade ago. 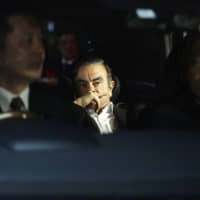 Young, full of ideas and married to the granddaughter of former Prime Minister Yasuhiro Nakasone, Kawanabe was dubbed the “Prince of Taxis” by local media. Since delegating day-to-day operations to a hired president, Kawanabe says he now spends 80 percent of his time at Japan Taxi Co. — the startup he established to build smartphone applications and dream up new services. He’s also the chairman of the taxi federation, giving him a platform to push for changes in the staid industry. “I wear jeans to Japan Taxi, and a suit the rest of the time,” he said. If Kawanabe seems relaxed, that’s because Uber isn’t a serious threat to Nihon Kotsu and other incumbent fleet operators. The San Francisco-based company has fought taxi companies, driver unions and regulators in the U.S. and Europe, but is playing by the rules in Japan. There are specific regulations for commercial passenger businesses, including on how to set fares and even where to place signage inside and outside a vehicle. Drivers have to obtain a commercial license by passing an exam and a road test. Unlicensed, privately operated vehicles and drivers are forbidden. Fire up the Uber app in Japan and there are usually a few cars nearby. Leave central Tokyo, or nearby Yokohama, and they’re non-existent. In fact, anyone summoning an Uber ride is getting a car or van that’s operated by an existing, fully licensed car-hire company. Essentially, Uber in Japan’s big cities is a dispatch service for an established fleet operator, not the cheap ride-sharing for which it’s best known. One of the few places where Uber does offer ride-sharing is Tangocho, a remote coastal town of about 5,900 people in western Japan. There, it effectively operates as a social service for the elderly, who needed a way to get around after buses stopped operating and the town’s only taxi company went bust. Because most of their customers don’t own smartphones, they usually have to call someone, who in turn arranges rides via the app. Thanks to tough regulations that make it impossible for ride-sharing services to get off the ground, Japan’s taxis have few outside rivals. That’s helping to keep prices high. A typical 8-kilometer ride in Tokyo costs about ¥2,700, or $24, compared with $18 for an UberX trip in San Francisco. Masayoshi Son, SoftBank’s founder and a fan of ride-sharing startups, has long been a vocal critic of excessive regulation and could use his clout to help shake up the market. Two decades ago he forced NTT, the national telecoms monopoly, to open up its exchanges so that he could build out internet services. SoftBank is a major wireless carrier and still controls a large chunk of Yahoo Japan Corp., offering access to 42.2 million mobile subscribers and 41.6 million monthly active users. The lack of competition-fueled innovation and high prices explain, in part, why fewer people are riding taxis in Japan. Passenger volumes fell 32 percent from 2005 to 2015, according to the Ministry of Land, Infrastructure, Transport and Tourism. Japan’s population is shrinking, and efficient (and expanding) public transport systems reduce the need for taxis, at least in urban areas. After getting ¥500 million in June from a fund run by asset management firm Sparx Group Co. that’s also backed by Toyota Motor Corp. and Sumitomo Mitsui Banking Corp., Kawanabe said he’s seeking to raise more money next year to expand Japan Taxi’s reach. Seeking to make taxis easier to use, Kawanabe has been pushing for wider adoption of fixed-rate fares, not just for trips to and from airports. 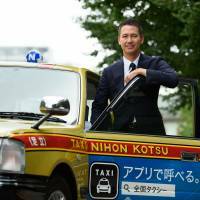 Nihon Kotsu started a pilot program this year that lets people book rides for a pre-agreed price. 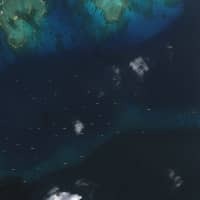 “We want to take away the uncertainty,” Kawanabe said. Another of his ideas: monthly taxi subscriptions. 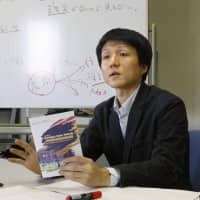 It might make more sense for frequent riders to pay a regular fee for unlimited trips within a specific geographic area, rather than paying each time, according to Kawanabe. “You can ride as much as you want, for a fixed monthly rate,” he said. Kawanabe says he’s trying to lower fares and wants to bring ride-sharing to cabs, so that people can split the cost of a trip along the same route — similar to how UberPool and Lyft Line operate. For this to happen, the former McKinsey consultant admits that he needs to get more people to use the Japan Taxi app in order to match passengers to rides. 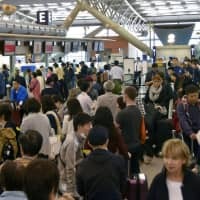 The problem is that 90 percent of passengers still hail nagashi or eki-zuke (“roaming” or “at-the-station”) taxis, he said. Also, most taxis in Japan are based on car platforms that are three decades old, so they’re not as safe as newer vehicles with side air bags and crash-resistant frames. 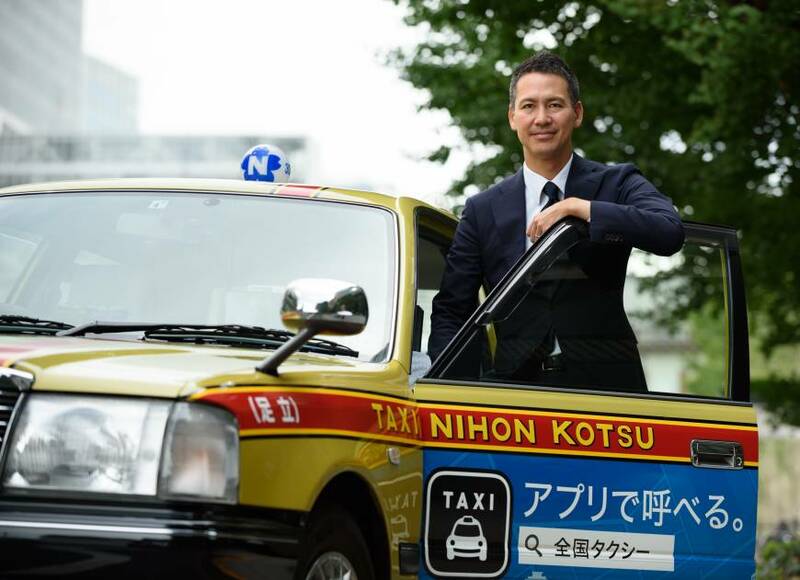 Kawanabe is also getting ready to revamp his fleet by becoming the first major customer for Toyota’s “JPN Taxi,” a brand-new model that resembles London’s black cabs and features wide sliding doors, a roomy interior and fully flat floor. Nihon Kotsu plans to have 1,000 of the indigo-colored cabs on the streets within the next 18 months.